Actually, take a look down. It’s quite a view. Capilano Suspension Bridge, Vancouver’s oldest visitor attraction, is a long suspended footbridge spanning 137 metres (450 feet) long and 70 metres (230 feet) high above the Capilano River below. Visitors will see all kinds of foliage and wildlife from the dangling overpass. Vancouver’s Pacific temperate rainforest, which is where the Capilano Suspension Bridge is situated, gives the park a lush forest full of towering Douglas firs, Western hemlocks and red cedars. 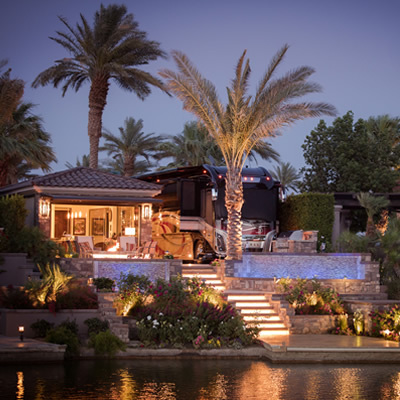 Guests can walk around the boardwalks of the forest and spot Douglas squirrels, rainbow trout in the ponds, and the occasional osprey and great blue heron. 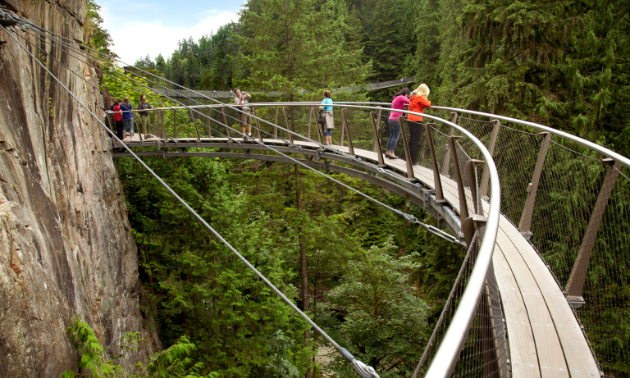 Capilano Suspension Bridge Park offers more than just the bridge. The park’s surrounding 11 hectares (27 acres) celebrate nature, history and culture. During the summer season a local group brings rescued birds of prey to the park and gives guests an opportunity to learn the ecological interaction between humans and birds of prey at Raptors Ridge. 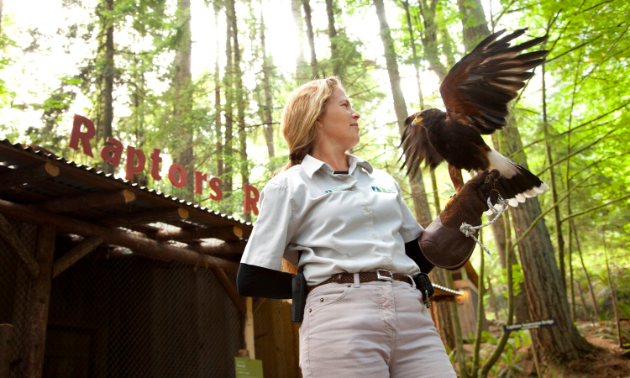 Complimentary history and nature tours, informative signage and interactive human and natural history exhibits throughout the park allow guests a unique experience in nature, all the while protecting the delicate rainforest environment. Several food venues and the Trading Post gift shop round out the visitor experience. So go ahead, look down and all around. 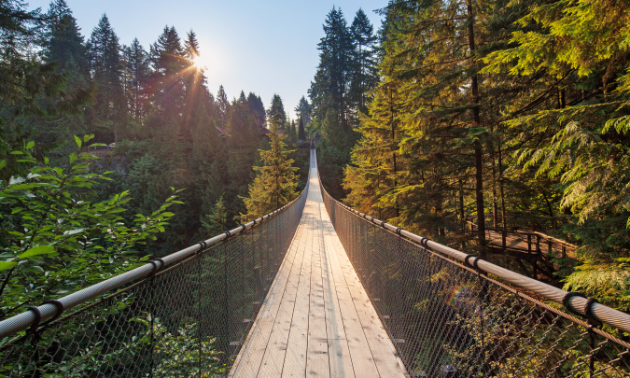 There’s plenty to see from the Capilano Suspension Bridge.